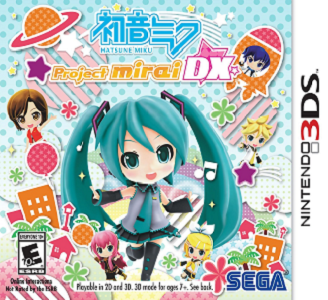 Hatsune Miku: Project Mirai DX is a 3D rhythm action game starring the world's most famous virtual singer Hatsune Miku. Join the Miku phenomenon by expressing yourself through fun creative tools, sharing your cute customizations, and experiencing some of the best music from the world's favorite digital diva! Hatsune Miku: Project Mirai DX has very few problems in Citra. Graphically, the game may or may not suffer from minor issues, but requires mid-range hardware to obtain near full speed. It suffers from minor audio issues at times, but this does not hinder gameplay in any way. Input lag is noticeable whether it be button or touchscreen input.